Blind people are no different than you in most situations, they play music, they listen to podcasts, they travel and they find their way to the nearest Starbucks. But sometimes, simple situations turn out to be tricky, and thanks to technology, you can now help them complete some tasks that need a pair of eyes! 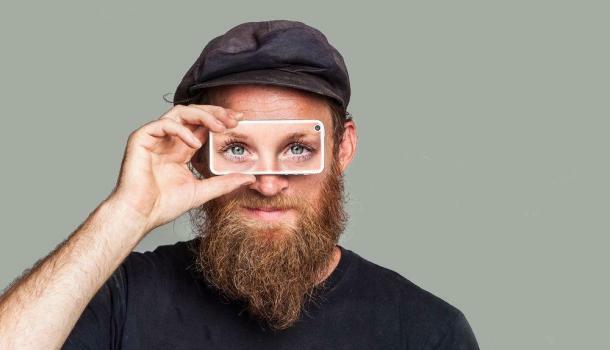 The “Be My Eyes” App, building onto past apps that leverage social networks for good like “Wakie”, allows you to sign up as a blind person or a person with sight, and whenever a blind person needs help or assistance, all they have to do is push a button and you will get a notification that someone needs guidance. Any of the users with sight can respond, so never feel too bad if you’re driving while the notification shows up on your smartphone and you can’t do much about it!